Sometimes you may want to join cross stitch sides, but you don't want to have fringe. This technique gives you a nice, clean edge without the hassle of using your sewing machine. Don't be intimidated by the number of diagrams. Once you do it, you'll be surprised at how easy it is, but it is easier to show than it is to explain. Right side, wrong side, Design A, Design B, etc., etc. What's that old adage -- "A picture is worth a thousand words!" 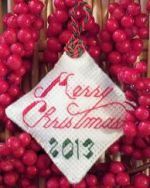 we have stitched two designs on 14-ct fabric for a Christmas ornament, with a finished size of 2" x 2". 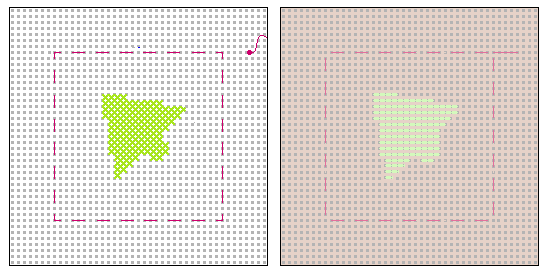 You can then apply these techniques to any size or shape that has four straight edges. Design A is on the front of the ornament, and Design B is on the back of the ornament. The following instructions have you complete Steps 1 through 8 for Design A, then do the same for Design B. However, you can complete Step 1 on both designs, Step 2 on both designs, and so on until they are ready to be joined. Do whichever is easier for you. 1. Find the Center. 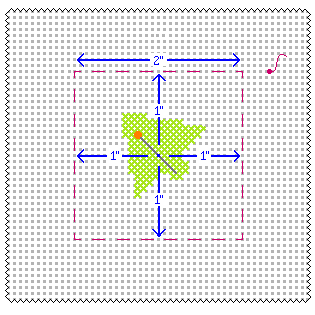 Find the center of Design A and mark with a pin. 2. Find the Edges. The total width of your finished ornament is 2", so divide that in half. Then count outward from the center, 1" inch to the left and 1" to the right, and pin. Do the same for the height. Design A will now be centered in the ornament. 3. Baste Edges. Now, using a single strand of floss, baste all the way around to mark the edge of your ornament. This will be removed later. 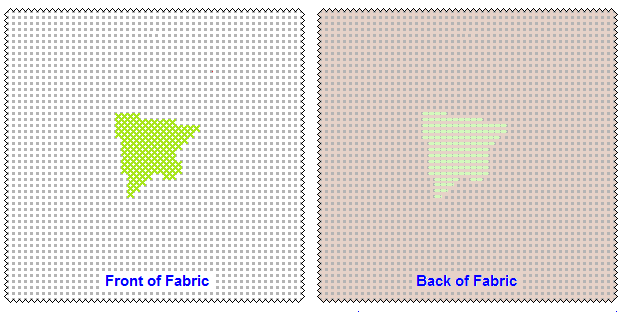 Use a lighter color to avoid any color transfer from floss to fabric. 4. Trim to 1/2 Inch. Trim all four sides to 1/2". Design A is now prepped. 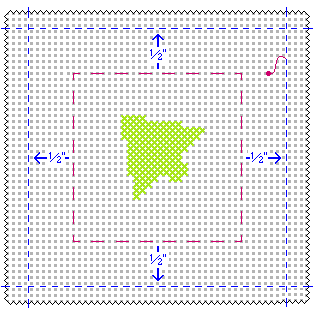 Doing the same thing to Design B, will ensure that both pieces are exactly the same size, which is crucial for successfully joining the two sides.